Or should that be "even smellier drawers?" I'm not sure how well that little pun translates anyway. My British readers would realise what I meant - over here drawers is another word for a lady's lower undergarment... did you get that? 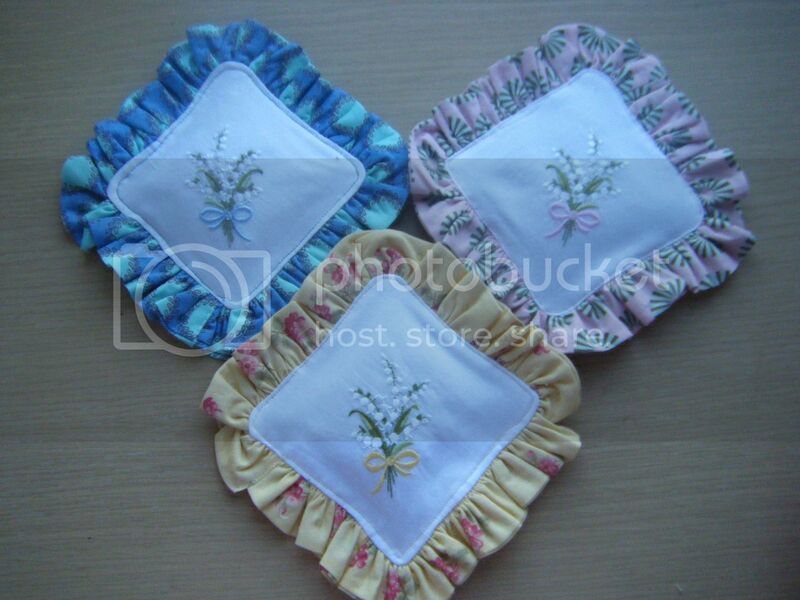 I wrote about my smelly drawers the other day and showed you the lavender sachets I'd made from hankies. 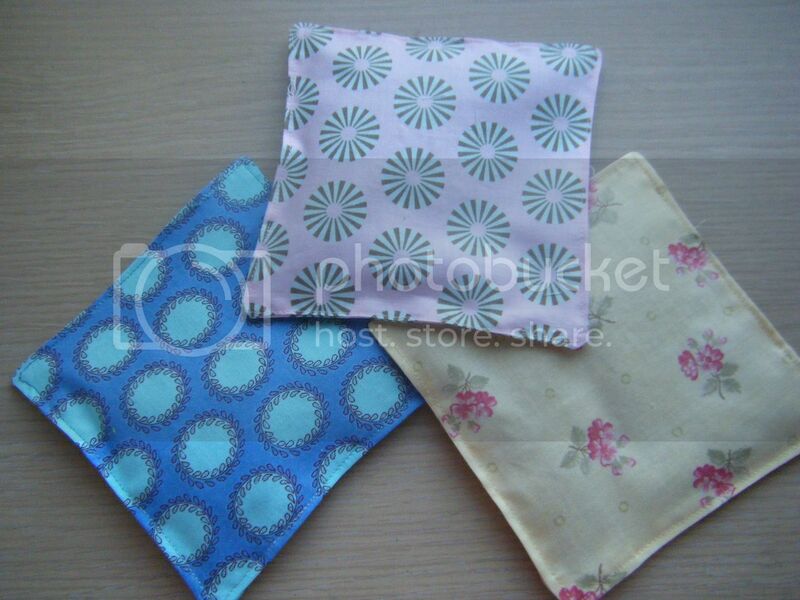 I still had 6 hankies left, so I got sewing. I really wanted to do a ruffle edging, the internet wasn't working (and still isn't! 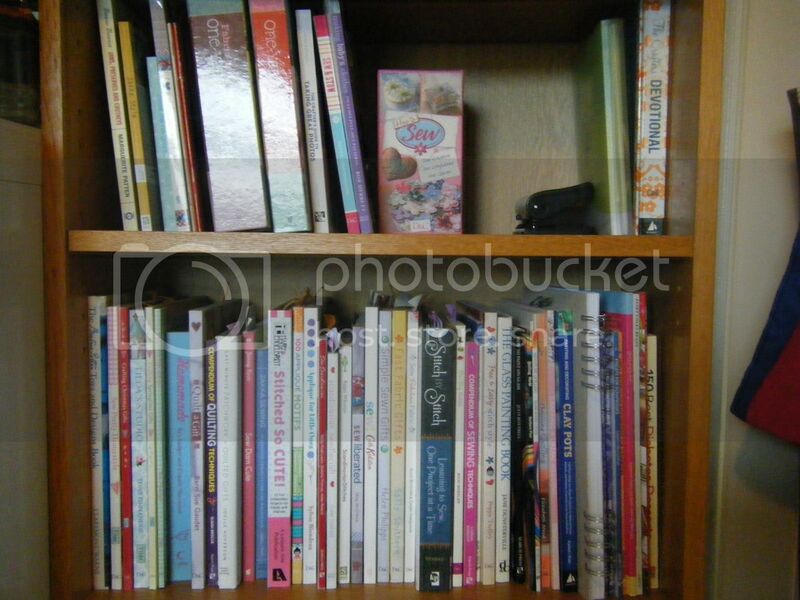 Driving me MAD), so I turned to my massive stack of craft books had instructions for a ruffle edging! So I wung it. 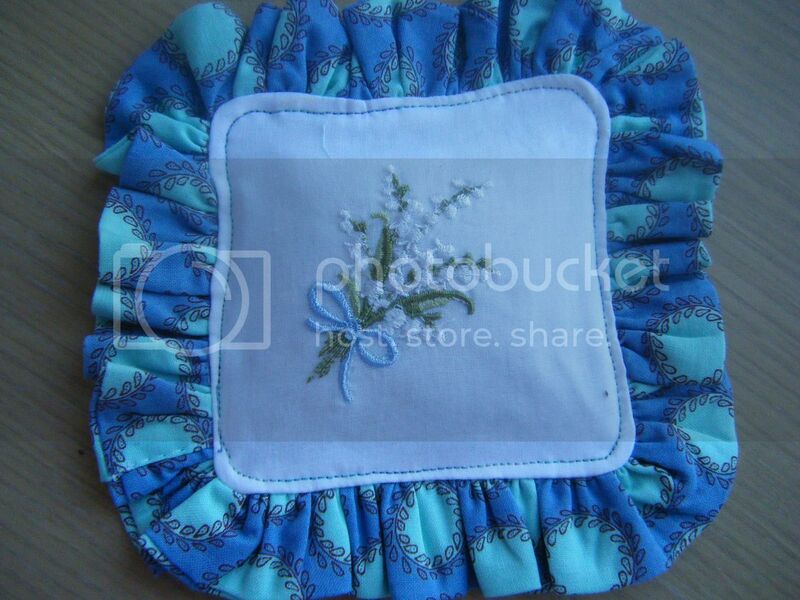 I think I've sewn ruffles before, but I can't for the life of me remember when or what for. I made a tube and turned it, then sewed a long stitch on one end before pulling on the top thread to ruffle the fabric. It is at this point that I made a discovery. I've seen a lot of Bloggers raving about Aurifil thread. I'd always used Guttermans, but bought some Aurifil white to try it out. It snaps a LOT easier than Guttermans. Believe me as I had trouble ruffling these babies up. Hmmm, back to Guttermans for me. I did one in each colour, then finished them off with some lavender and some very wobbly top stitching! Pretty! The backs match the ruffles. The blue is an Amy Butler print, I have no idea what the yellow is and the pink is from a line called Hushabye. I recently heard a rumour that this was a Tula Pink fabric? I suppose I could google it... hang on ... yes, it is! How strange, I like this line, I bought a load of FQs for a quid each ages ago, but I don't like Tula Pink's other lines. I know people rave over them but they really are not my cup of tea. 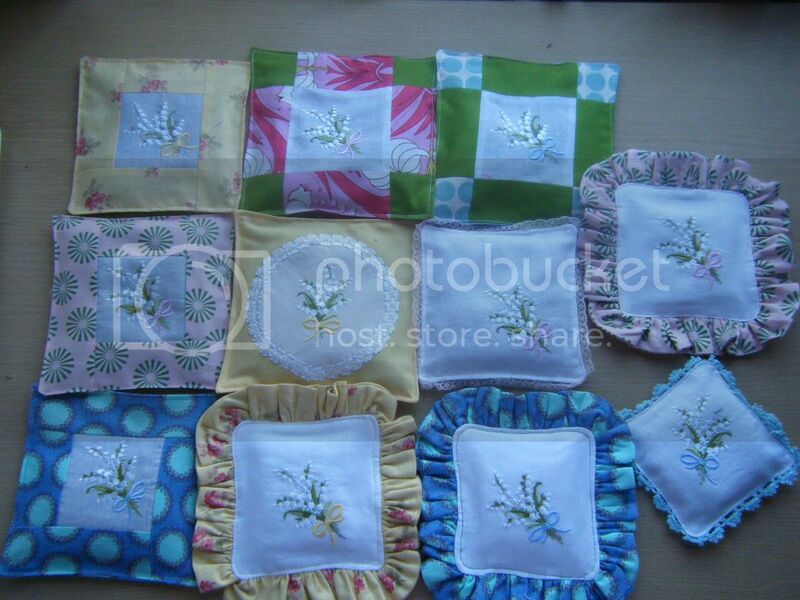 At this point I was 9 hankies down - 3 quilt blocks (1 failure), 3 using trims in different ways, 3 with ruffles... I wanted to try something new, a different technique... I couldn't think of anything! Log cabin it is! In the very same fabrics! 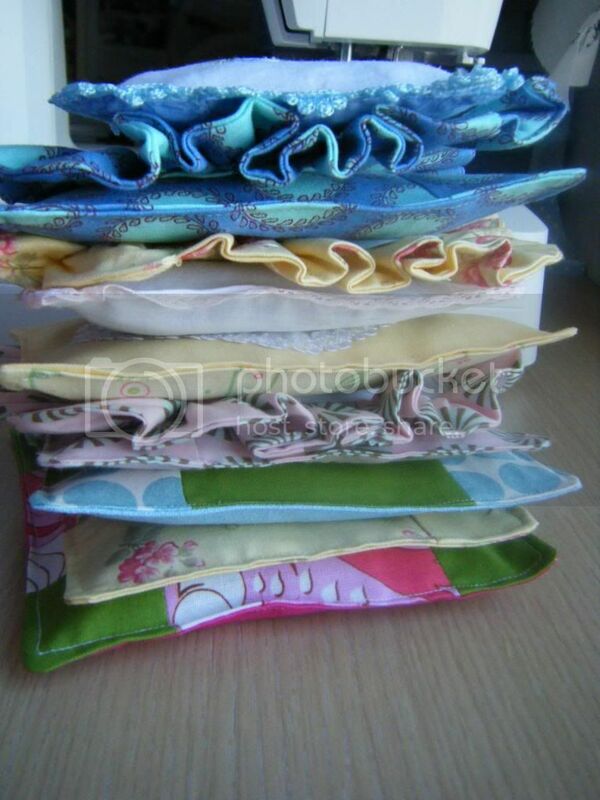 So I now have 11 lovely lavender sachets scenting my drawers. 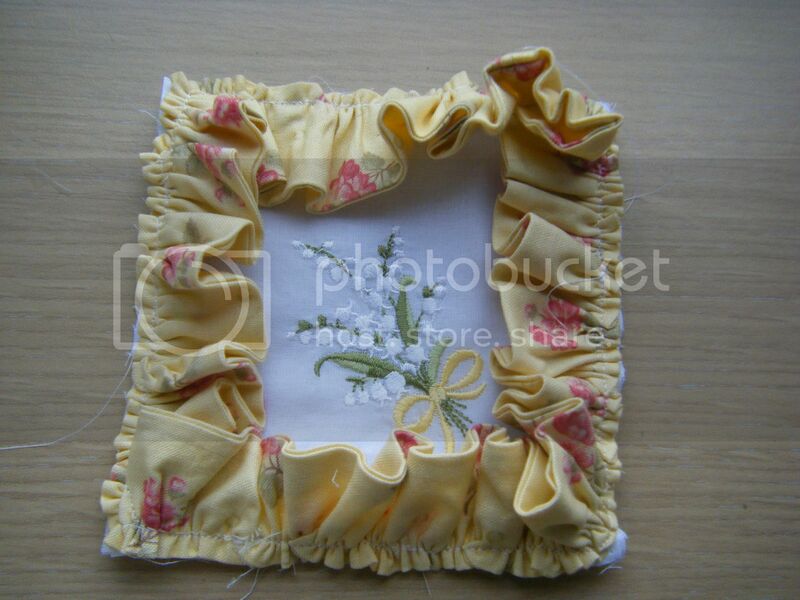 Shame I've run out of hankies as I could do with some more and some to hang in my wardrobe. I love how they're all different sizes and some are different orientations!! Well done wendy. I've learnt something today. I never knew the log cabin method was actually called log cabin. Does that make sense. Anyhoo, they look very pretty indeed. love the blue fabby. The pun translates just fine for Americans. We use "drawers"that way too. 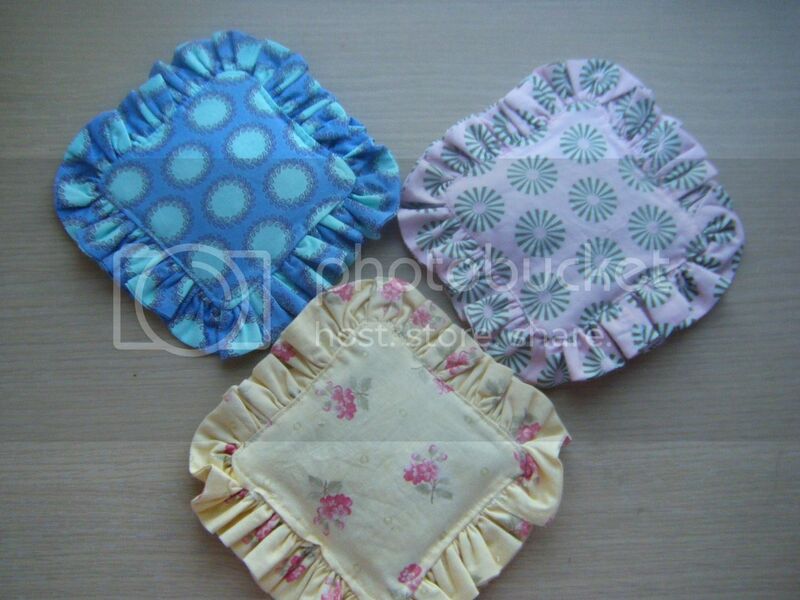 They all look great, Wendy, but my favourite is the blue ruffled one. 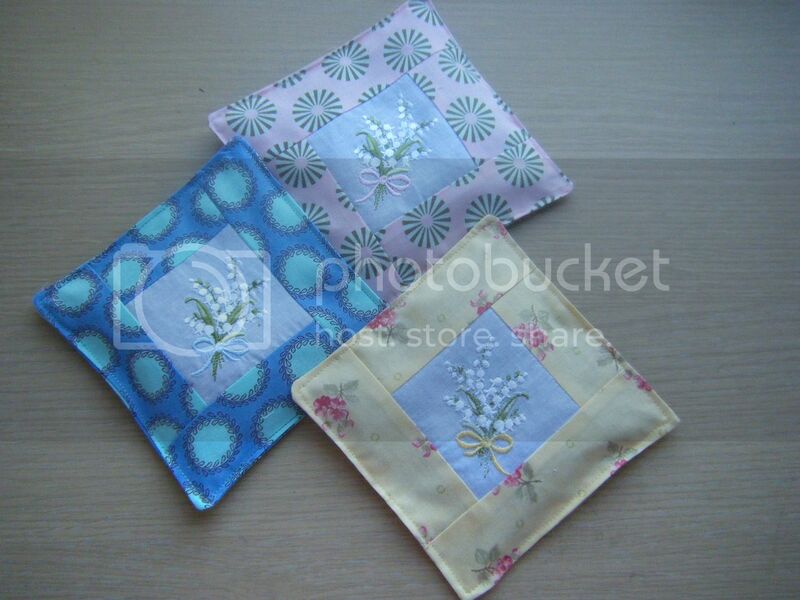 You can never have too many lavender sachets. Interesting about Gutterman vs Aurifil. I don't know if we can even get Aurifil here, as I've never seen it. I use Gutterman and lately Rasant. Those came out so pretty! Loved 'wung it' too. All fab finishes! If you're not a fan of the Aurifil my machine loves the stuff so I can do you a swap if you want? I have a fair bit of Gutermann or even fabric. It's amazing how you use everything, I am going to have to learn to think outside the box and try all sorts of things. ROTFL I'm not thinking about your smelly drawers ... not thinking about them ... not thinking about th ... DAMN! I'm thinking about them! Another tick on the list, Yay! And a super-smelly drawer to boot! Congrats on finishing another WIP! Great use for the hankies. I love the smell of lavender.